Ypsilanti Township resident Melvin Farmer, 67, was issued a $10,000 bond during his arraignment Monday, where he was charged with aggravated assault. Police said he assaulted a woman he attempted to kidnap Sunday. Nov. 17, 2009 · 9:25 a.m. The Ypsilanti Township man who police accused of assaulting and attempting to kidnap a 35-year-old woman Sunday was charged with aggravated assault at his arraignment. 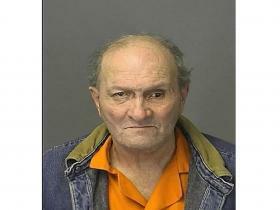 Melvin Farmer, 67, was issued a $10,000, 10 percent bond at his arraignment Monday. He was arrested in his home Sunday, after he allegedly fled the scene where police said he assaulted the woman while trying to get her back in his van. According to a release sent by the Washtenaw County Sheriff’s Office Monday, the victim received minor injuries after jumping from Farmer’s moving vehicle and being subsequently assaulted. When the victim asked to be dropped off later in the evening, police said Farmer refused to let her out of his van. “The victim jumped out of the car while it was traveling down the road,” the report said. After she leapt from the vehicle, police said Farmer then stopped his vehicle and assaulted her as he tried to pull her back into his van. The report said Farmer fled the scene when a third party approached his vehicle. After responding to the incident at 8 p.m., deputies located Farmer in his home, where he was arrested and transported to the Washtenaw County Jail. Farmer has a pre-trial scheduled for later this month.